Reader’s Digest once published an article called “What Good Is a Tree?” The article explained that when the roots of trees touch, there is a substance present that reduces competition. In fact, this unknown fungus helps link roots of different trees—even of different species. A whole forest may be linked together. If one tree has access to water, another to nutrients, and a third to sunlight, the trees have the means to share with one another. Like trees in a forest, Christians in the church need each other and count on one another for support. With this kind of support system, we are sure to grow in our faith together. “Be devoted to one another in brotherly love. Honor one another above yourselves.”—Romans 12:10. 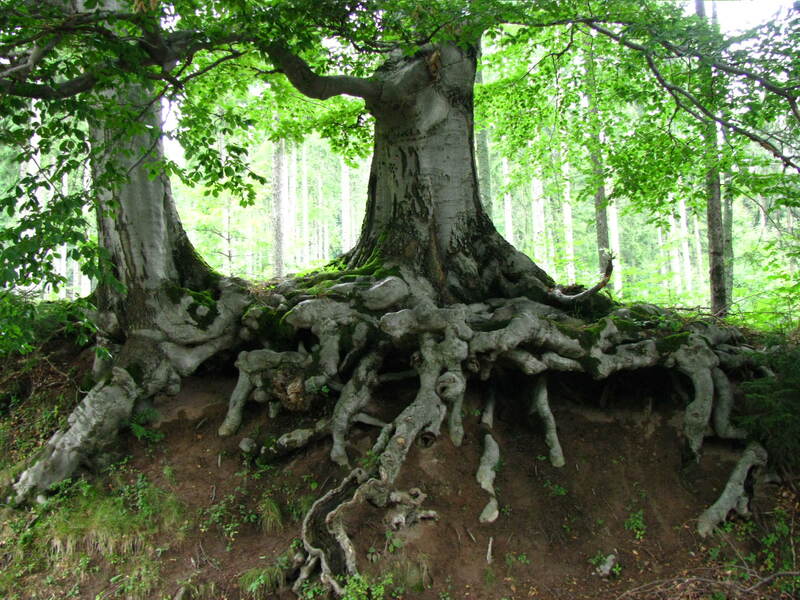 This entry was posted in Christian Living, Church and tagged Christians, Fellowship, forest, illustration, Reader's Digest, Romans 12:10, tree roots, trees linked together, What Good is a Tree. Bookmark the permalink.